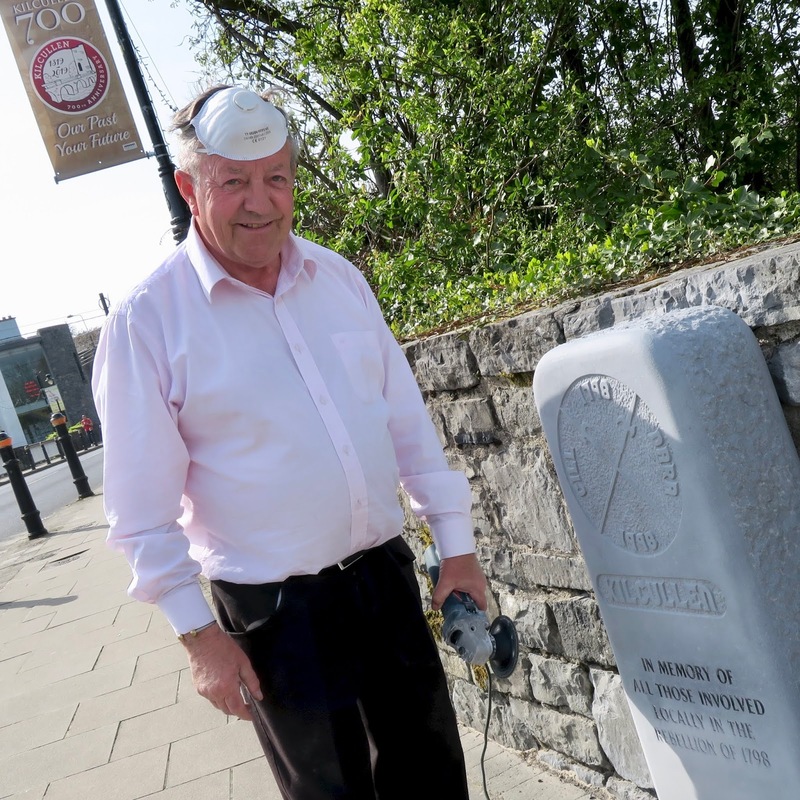 At the height of yesterday's summer day warmth, PJ Willis was working away in the afternoon cleaning up the commemoration stone for the 1798 Rebellion at the bridge, writes Brian Byrne. 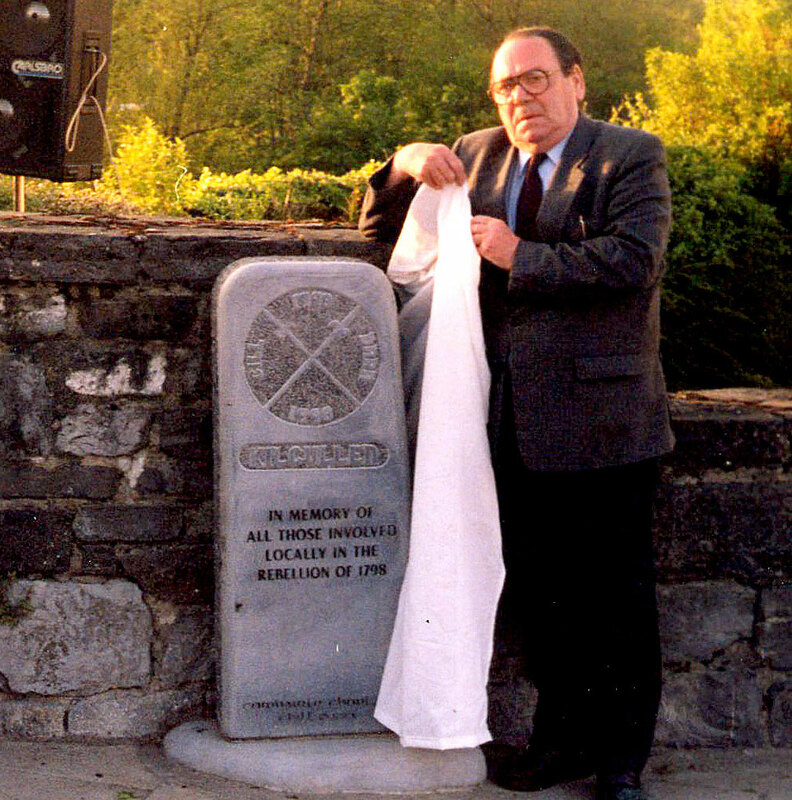 The stone was originally placed in 1998 to commemorate the 200th anniversary of the Rebellion, and was unveiled by the late Paddy Nugent. Afterwards, there was a gathering at Old Kilcullen where the original local battle took place, and Brian Keyes spoke about the event. Below are some more of my own pictures taken on the occasion. In the latest work on the Gates Project being undertaken by Kilcullen Tidy Towns, the one beside the Jockey Stile onto the old Mass Path has been freshened up, writes Brian Byrne. 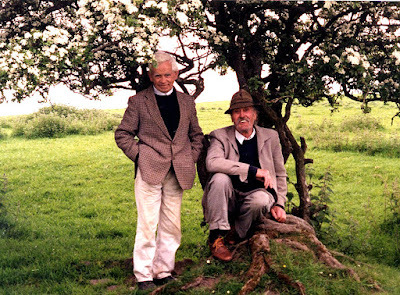 Now, can anyone enlighten me as to why the stile is called by that name? I've always known it as that since I was a child, but never knew the origin of the name. Katie Deed and Tracey O'Dwyer were collecting for St Joseph's NS in Halverstown, outside Nolan's this morning. Great school, great cause. 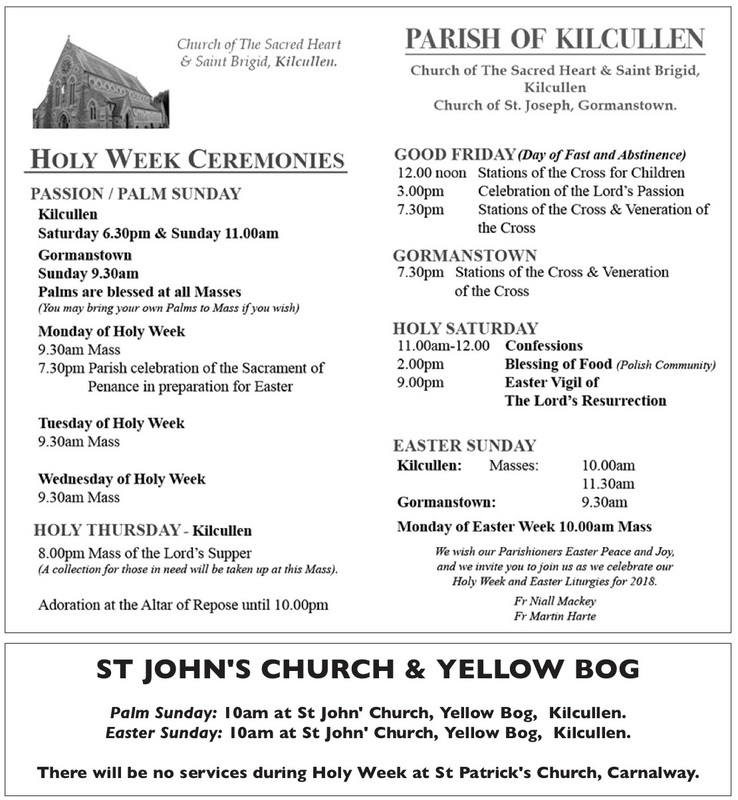 The Easter programme for both Kilcullen Parish and the local Church of Ireland churches are detailed above as in The Bridge magazine (click picture for larger image). Easter Services at Brannockstown Baptist Church are a Good Friday Service at 7pm and the Easter Sunday Service at 11am. The annual Kilcullen Canoe Club race from Ballymore to Kilcullen will start at 4.30pm today, Saturday 20 April, and there will be good views of the finish from the Valley Park (fairies get the best positions to watch). This is one that'll be hard to beat in the Kilcullen end of the Paint the Town Red promotion for Punchestown, writes Brian Byrne. 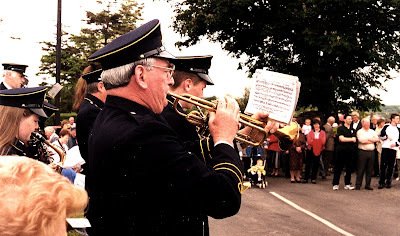 The Paint the Town Red contest was inaugurated in 2015, and this year encompasses entries in Naas, Clane, Kilcullen, Ballymore Eustace and Blessington. It is the third year the promotion has been sponsored by Bank of Ireland. The bottle of Bollinger, by the way, is not being left out for the scavengers of Market Square ... it is being kept inside for a special occasion. The Popup Dress Shop is open again today in the Heritage Centre, with sone very stylish creations available for good value prices. It's open until 3pm today. From RTE's 'Rome v Republic'. 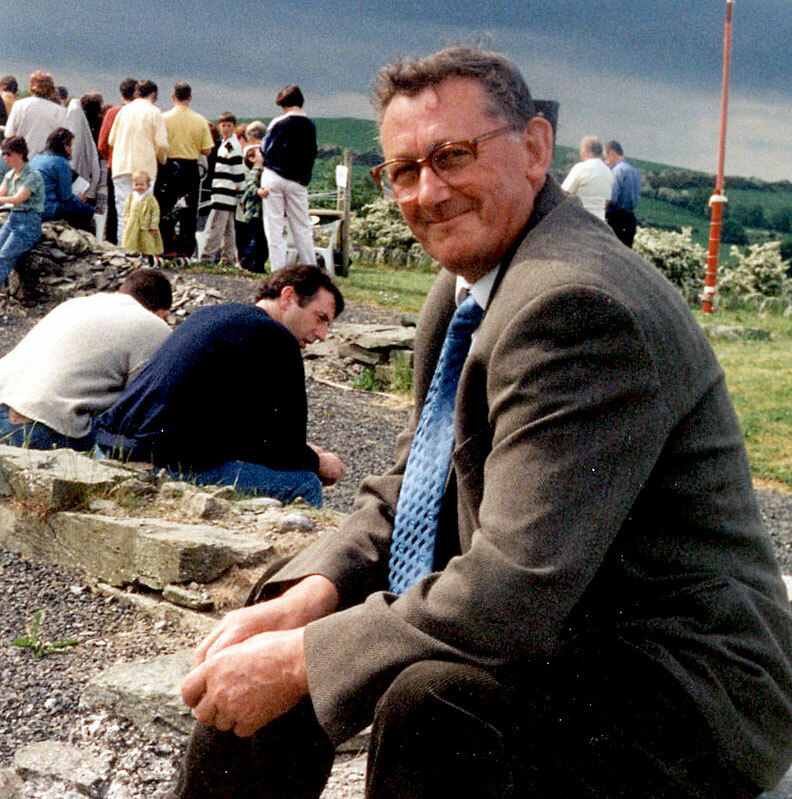 The Rome v Republic documentary shown on RTE television last week was developed and directed by a woman from Kilcullen, writes Brian Byrne. 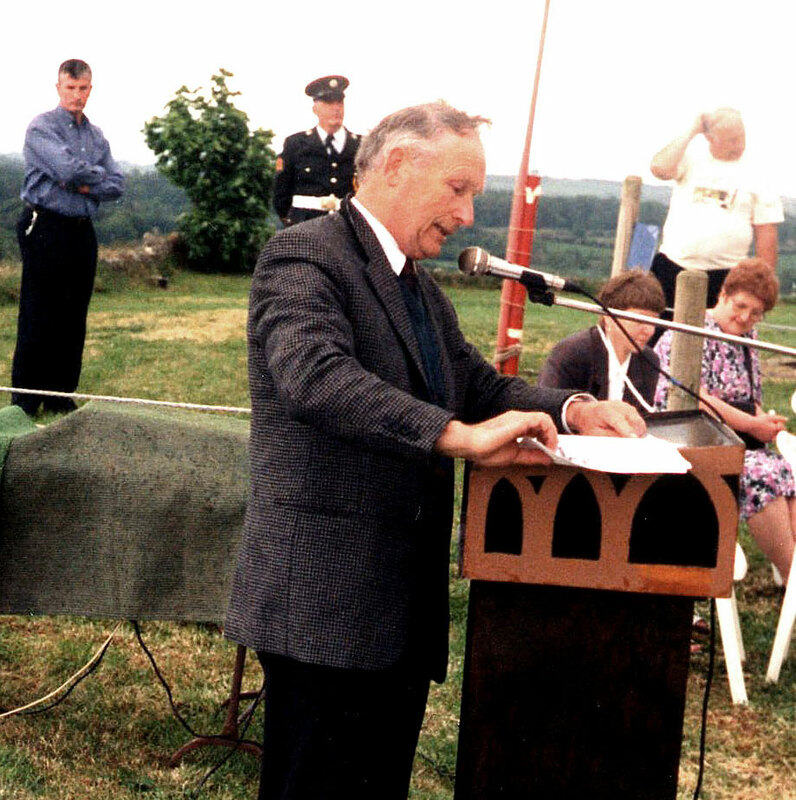 The documentary is presented by Senator Michael McDowell and examines the Catholic Church's relations with the Irish State over the last 200 years, and directed by Niamh Sammon, originally from Nicholastown. It begins with Wolfe Tone's ill-fated efforts to get help from France to overthrow British rule in Ireland. The founding of Maynooth Seminary in 1795, and the work to achieve Catholic Emancipation by Daniel O'Connell are reviewed. 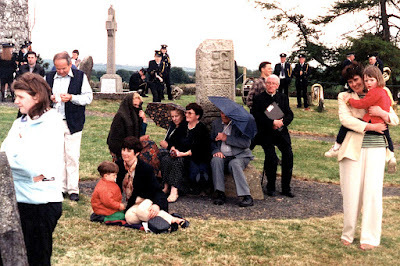 At the current end of history, interviews with Archbishop Diarmuid Martin of Dublin, a range of Irish historians and religious commentators, and former President of Ireland Mary McAleese are part of the story. The 'Romification' of the Irish Catholic Church by Cardinal Paul Cullen, born in Kildare and achieving a position of extraordinary power in the heart of the Catholic Church in Rome, is outlined. 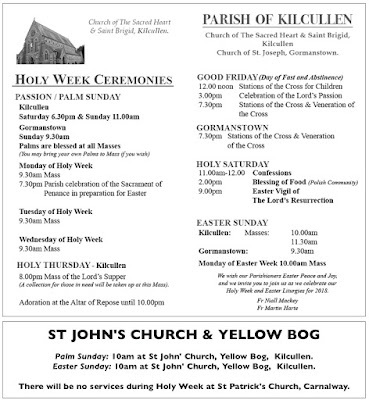 A programme of church building undertaken by him in the mid and late 1800s included Kilcullen's Parish Church. 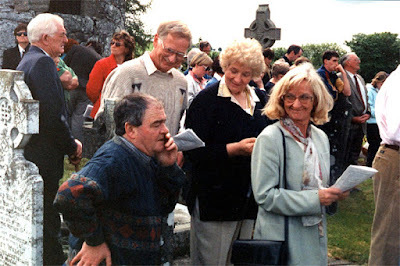 The use of education to further the control of the church in almost every aspect of Irish life is thoughtfully established in the documentary, and Clonliffe College, the former diocesan seminary in Dublin, also features. 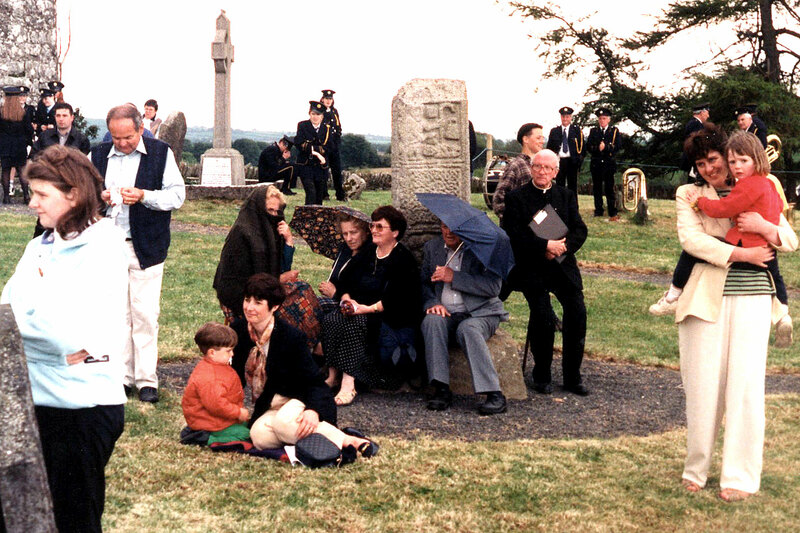 The relationship of the Irish hierarchy with emerging nationalism is also examined. 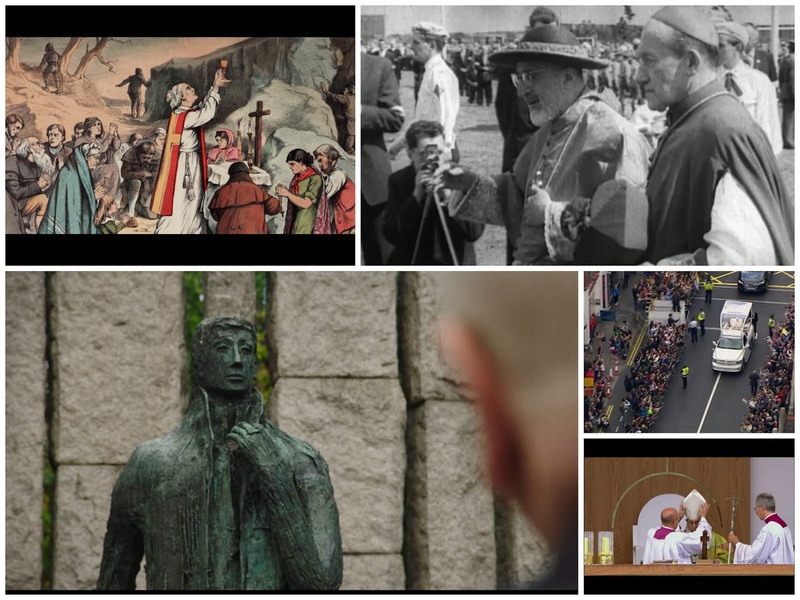 The extensive archives for the former Archbishop of Dublin, John Charles McQuaid, shine more light on the retention of the church's power but also his development of social services in a poverty-stricken period in Dublin. Bringing matters right up to date, the visit of Pope Francis to Ireland last year is used in the concluding section. The documentary was triggered by an article written by Senator McDowell in 2017 at the height of the furore from the revelation of the Tuam Mother and Babies scandal. 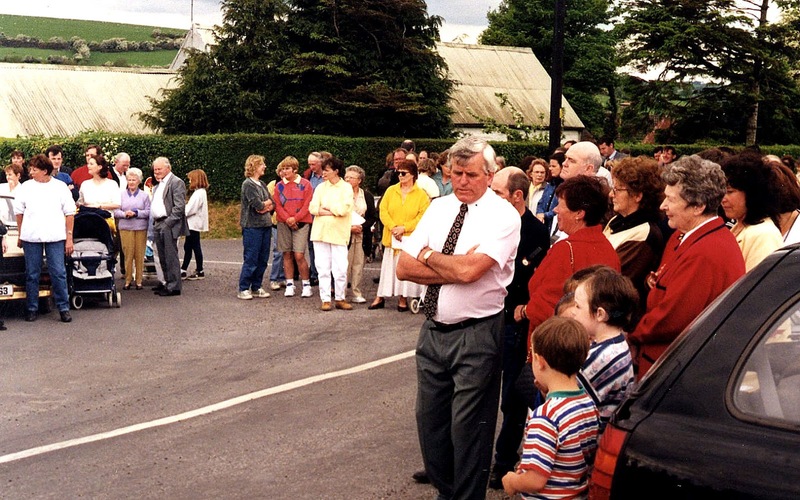 Available on the RTE Player, as a Reel Story Production for RTE, it is a carefully researched, well written and highly illustrated piece of television journalistic work. It captures in the short space of a little over an hour a very significant part of what has made us who we are as today's nation. For those of us who grew up through the 1950s it is both a reminder and a revelation. For those of today's younger generations who choose to view the programme, it may cause bemusement but is also likely to re-form some of their notions of Irish history. It is highly recommended, both for Senator McDowell's beautifully measured exposition and for Niamh Sammon's deft and illuminating direction. Niamh Sammon has a solid portfolio of important documentaries for RTE, including 'Ireland's Health Divide' in 2017. Others were 'Medication Nation', also in 2017, and 'Hidden Impact: Rugby and Concussion' in 2015. She also produced 'Fine Gael: A Family at War' and a four-part documentary about the life of former taoiseach Charles Haughey. She is currently a PhD candidate and tutor at Dublin City University and a freelance television Producer/Director. 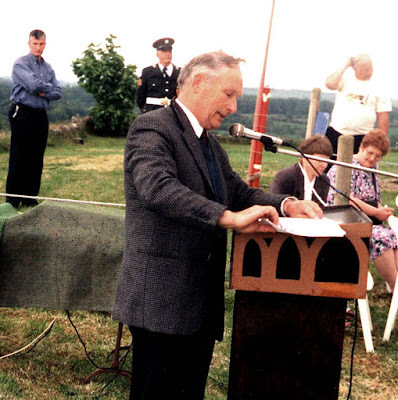 Michael McDowell is a former leader of the Progressive Democrats, a former attorney-general and former minister for justice. 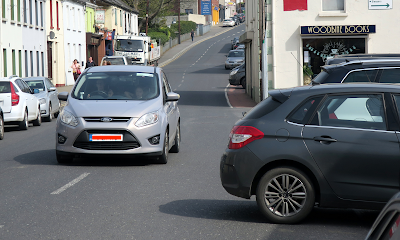 We've had first hand descriptions of the aftermath of a timpist outside the Powder Room last evening, when a car parked nose in at that point had its rear clipped by a vehicle coming from across the bridge, writes Brian Byrne. 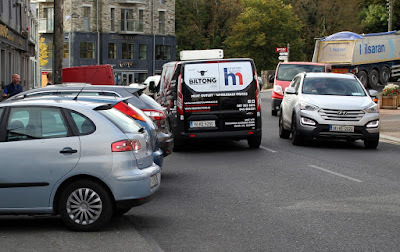 The vehicle had to swing wide to get around cars parked on the Town Hall side and then its load hit the tail-out car, the rear of which was well out into the traffic line. According to one correspondent, it was a case of 'when the predictable happens', and the rear of the parked car was sticking into the traffic line. "The victim tonight was ... the driver of the vehicle coming down the hill," she writes. "It is very hard to see how culpability lies with the driver of the moving vehicle, when the vehicle he hit was clearly obstructing traffic ... and tomorrow, there will be another car in the same spot, parked with equal disregard ..."
As our file photo on top shows, this is something we have highlighted several times before. The parking space involved is marked as a horizontal to the kerb one. Solar seats, maybe for Market Square? In the course of some of my automotive work, I stopped off for a coffee yesterday in the very pretty resort village of Promosten in Croatia, writes Brian Byrne. It's a quite beautiful place, and its fishing village tradition is illustrated by the sculpture of the fisherman mending his nets shown above. 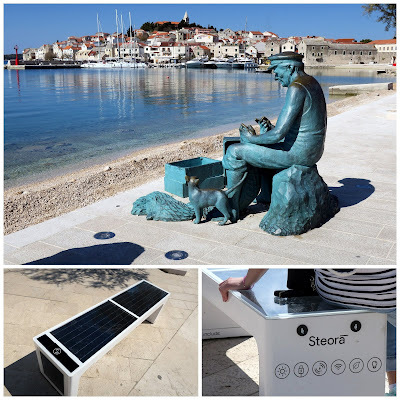 But I was struck also by the very 21st century seats on the beachfront, which are solar panels pulling in energy from the sun to power an integrated internet hotspot and charging points for mobile phones. That's a thought for us to suggest to Kildare County Council whenever the public consultation on the Market Square Project gets under way. A Conceptual Plan prepared for the project, which has already been allocated €200,000 from the Government, has been shown to councillors of the Naas MD, but not to the public, pending the preparation of a Part 8 application.